The creative mind behind PlayStation classics such as Ico and Shadow of the Colossus, Fumito Ueda, has a new game in development. That much was made clear in early 2018, when the director’s studio, genDESIGN, teased his next project. 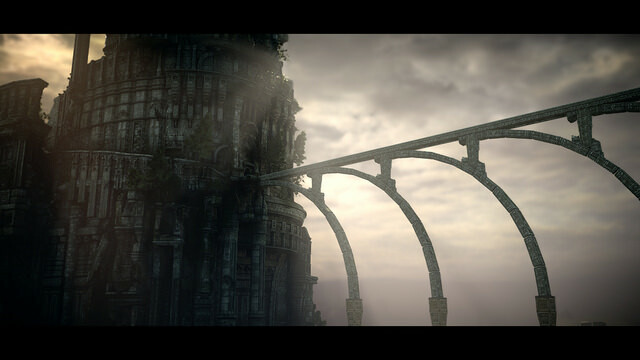 The tease consisted of an image featuring a lone girl sitting atop an altar. At the time, no context accompanied the reveal. However, new details have finally emerged. We’re in a stage of various trials. This stage we’re in, where we’re actually making our ideas to test if they’re interesting or not, is being supported by Kowloon Nights (a game fund), so we’re proceeding with prototyping. We’re working out the core parts first, and from there we’ll make it into a stable product. That’s our challenge this time. Despite Kowloon Nights’ involvement, which is a video game fund that financially supports developers, Ueda said he doesn’t feel as though he’s working on an “indie game.” This is primarily thanks to the scale of the game potentially matching that of Ico, Shadow of the Colossus, and The Last Guardian. If larger-scale development becomes of interest to us, then I think we will significantly expand our development system and take it to a large-scale development team to make it a big game. Though he wouldn’t reveal specifics during the Weekly Famitsu interview, Ueda did say the unnamed title is “completely new” and “not a sequel” to any of his previous projects. Since the director’s body of work proves sequels are not something he commits time to developing, this news is the least surprising of Ueda’s comments.